Nowadays, there are a lot of dairies’ sellers in the capital Kabul who provide milk in small factories and supply it to market. 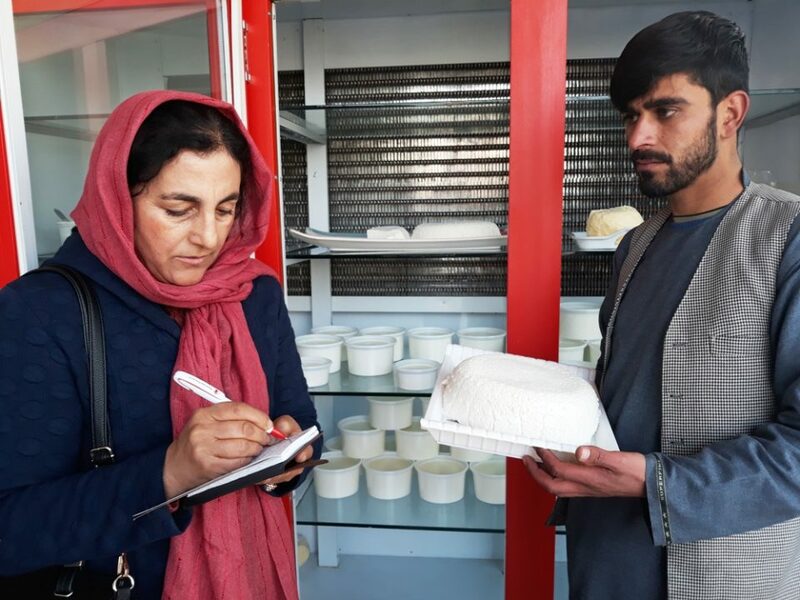 In an interview with The Kabul Times, dairy factories’ owners said if the government supported us, foodstuff particularly dairies’ import rate would decrease. Since few years, we have established a milk production and process factory in Kabul, a dairy factory in-charge Edris said. Today, our people mostly use their country’s productions and our selling is good daily, according to him. According to the factory’s in-charges, the milk is taken by modern devices and then supply it to market through three branches we have in the capital Kabul. He added we have not so far been supported by any organization so we can expand our work to provinces as well. Pointing at lack of a proper place, he said, if we enjoyed a good place, we would soon reach self-sufficiency on producing healthy dairies in the country. There is a cow farm in Gulbagh area, Kabul province, he said, adding however, the government had given us that place for 33 years, but it took it from us and no organ had so far cooperated with us in this respect. Now, we have mortgaged a land by our own money and transferred our livestock there, but I ask the government to assist the dairies’ unions to get promoted, he went on to say. He said the investors wanted to invest in the country, but we want the government’s support to be encouraged and keep our capitals inside Afghanistan. It is merit to mention that dairy factories have limited facilities in the country and if more investments are made in this regard, Afghanistan would soon reach self-sufficiency economically. This is while that dairy unions’ in-charges believe that low quality dairy products are being imported to Afghanistan, adding if big factories are established in the country, the ground would not only be provided to employment opportunities but also the government would earn much revenue through this.